Here's a fact you might not be aware of: You can't invest in bitcoin. Undoubtedly, some people will be very upset about this. After all, bitcoins are currently selling for $350-$400 each: up from around $10 just two years ago - although down from more than $1000 late last year. The reason why you can't invest in bitcoin isn't because a bitcoin exchange has been hacked: though that has happened. It isn't because the government is cracking down on bitcoin, either: although that has happened, too. The problem is much more fundamental. You can't invest in bitcoin because bitcoin is not an investment. Many people seem to think there's no real difference between speculation (buying bitcoin) and investing (buying a stock). However, that opinion is based on a misunderstanding of what investing is all about - and how investing can lead to long-term wealth. 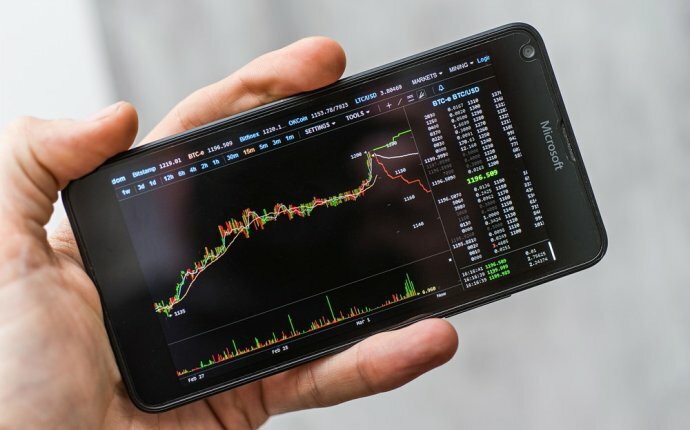 As people began to notice bitcoin's rapid ascent - from less than $1 in early 2011 and less than $10 in mid-2012 to more than $1000 in December 2013 - many individuals became interested in the concept of investing in bitcoin. In the last 10 months, the price of bitcoins has plummeted by about two-thirds. However, that hasn't really quashed investor interest in bitcoin. Indeed, many people have concluded that it's a great time to buy bitcoin because the price is sure to skyrocket again at some point in the future. Rising interest in bitcoin has driven the rise of a cottage industry in bitcoin investment advice. There are a mass of articles online treating bitcoin as just another "asset class, " there are bitcoin money managers, and a bitcoin exchange-traded fund backed by the Winkelvoss twins (of Facebook fame) is in the works. All of these activities are convincing more and more people that bitcoin is just another kind of investment. In reality, you'd be just as well off taking your money to Vegas as "investing" in bitcoin. To invest in bitcoin is ultimately to bet that people will be willing to pay more for bitcoin at some point in the future than they are willing to pay today. Investor interest in bitcoin is a symptom of a broader problem. A lot of individual investors don't truly understand what investing is all about. This is summed up by the overused phrase: "Buy low, sell high." If investing were really just about buying low and selling high, there would be no reason not to invest in bitcoin. Many people have successfully bought bitcoin at a low price and sold it for a higher - sometimes astronomically higher - price. Over any short period of time, your odds of successfully "buying low and selling high" are probably similar regardless of whether you are trading bitcoin or trading stocks. By contrast, the key to successful investing is recognizing that buying a stock means buying part of a business. Great businesses can create an extraordinary amount of value over time, and long-term investors get to tap into this value creation. To put this a different way: A single share of stock in a great company is still one share after 10 years. However, if the company is successful, it's one share of a much more profitable - and thus more valuable - business. That share entitles its owner to a bigger stream of future earnings from the business (often paid out in the form of dividends). On the other hand, a bitcoin today will still be a bitcoin no matter how long you hold onto it. Investing is all about participating in value creation. You can't invest in bitcoin because a bitcoin isn't creating any value during the time that you are holding it. Chipotle Mexican Grill made its debut as a public company in January 2006. At the end of Q1 2006, it operated about 500 restaurants. In that quarter, Chipotle generated $187 million in quarterly revenue and an $8 million profit. By the end of its most recently reported quarter (Q2 2014), Chipotle's restaurant count had surged to 1, 681. Furthermore, Chipotle is generating more revenue at each restaurant at a higher margin. Thus, company revenue totaled $1.05 billion and net income reached $110 million. Chipotle's earnings have thus surged more than tenfold since 2006, and its stock has followed. Moreover, Chipotle is still growing at a rapid pace. Investors who bought Chipotle shares right after the IPO and have held onto them have participated in an enormous level of value creation. Less than a decade ago, they owned a piece of a niche fast-casual chain. Today, they own a piece of a well-established, extremely popular restaurant group. In a few more decades, they might own a piece of a global restaurant giant! From the perspective of a trader or speculator, "investing" in a stock and "investing" in bitcoin are essentially the same thing. The goal is simply to buy something regardless of its intrinsic value and flip it at a higher price for a quick profit. That isn't investing. Investing is primarily about building long-term wealth by buying pieces of great businesses that will objectively be worth more in the future than they are today. Owning a share of Chipotle, for example, means owning a piece of an earnings stream that is on pace for significant long-term growth. @WhalePanda You also have to use Bitcoin everyday, hodl a lot, run a BTC website, and invest in BTC companies to have an opinion on it.